There is only one reason for me to head towards Beach Road. The ICA. 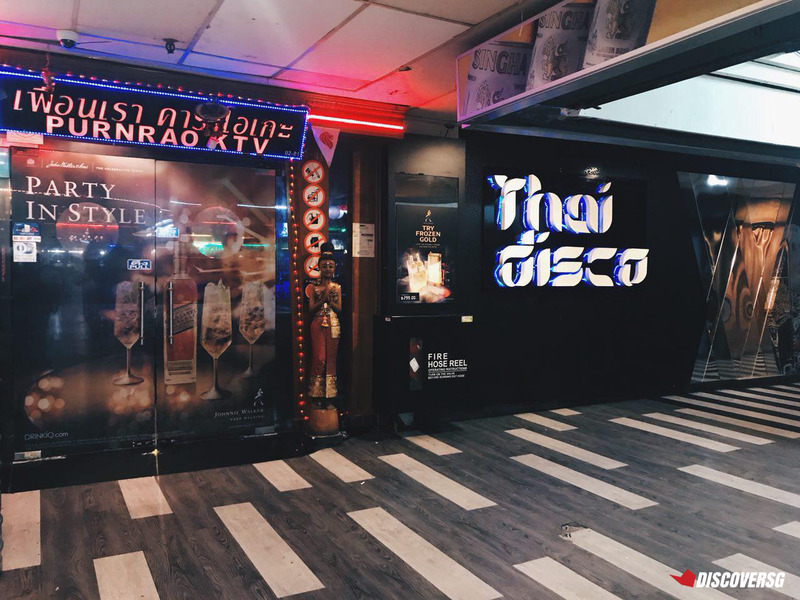 However, I have friends who used to go there weekly – to Golden Mile Complex for a wild night in a Thai disco before ending the chaos with a semi-drunk Mookata meal. I’ve never had that experience and I sure as heck wasn’t going to start now. 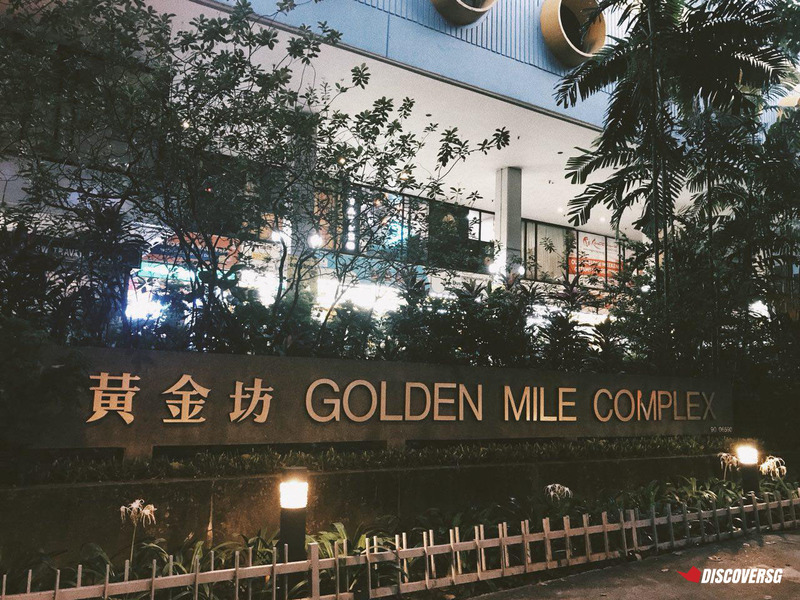 I’ve never been to Golden Mile Complex because there was no reason to (and also it seems dodgy as hell) and it’s too out of the way for me to just pay a visit and explore. 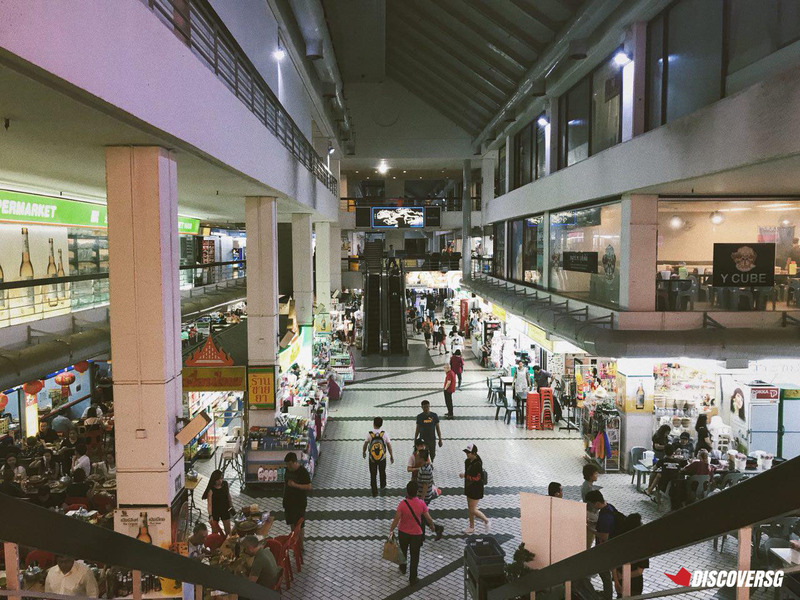 So for the sake of discovering Singapore, I made my way to Golden Mile Complex, with a friend who knows her way around the mall of course. 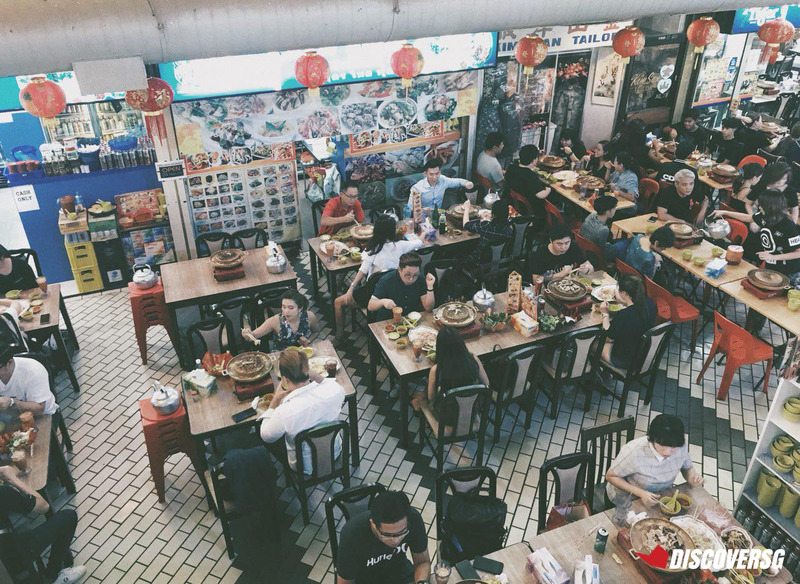 With Singapore being known as a melting pot of cultures, it’s no surprise that many ethnic groups have taken root in different spots in the city and Golden Mile Complex has long been considered Singapore’s own “Little Thailand’. The moment I stepped out of the Grab car, I was hit with a stench that can only be described as “old fishy cardboard”. And it got worse as I entered the mall. It wasn’t hard to find the source of the stench though. 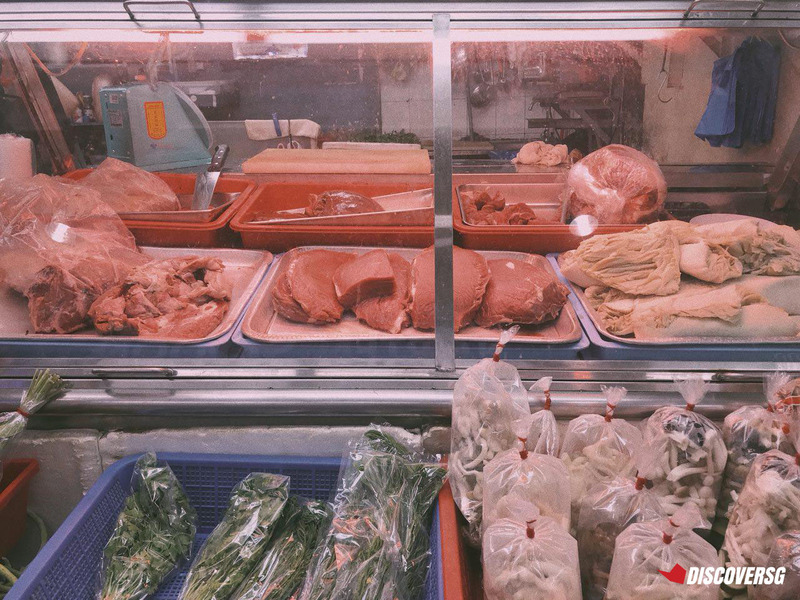 I’ve never seen wet market produce being sold in malls. I mean, yes I know supermarkets exist, but a regular shop selling produce inside a mall, is new to me. Wet market produce in a store, inside the mall. There’s even a butchery. How convenient. The smell is just stuck in the ventilation now. Please send help. Ambipur or Febreeze, anyone? The assault on my nose ceased shortly when we were greeted by an atrium of sizzling pots of Mookata. God yes, redemption! This isn’t so bad. 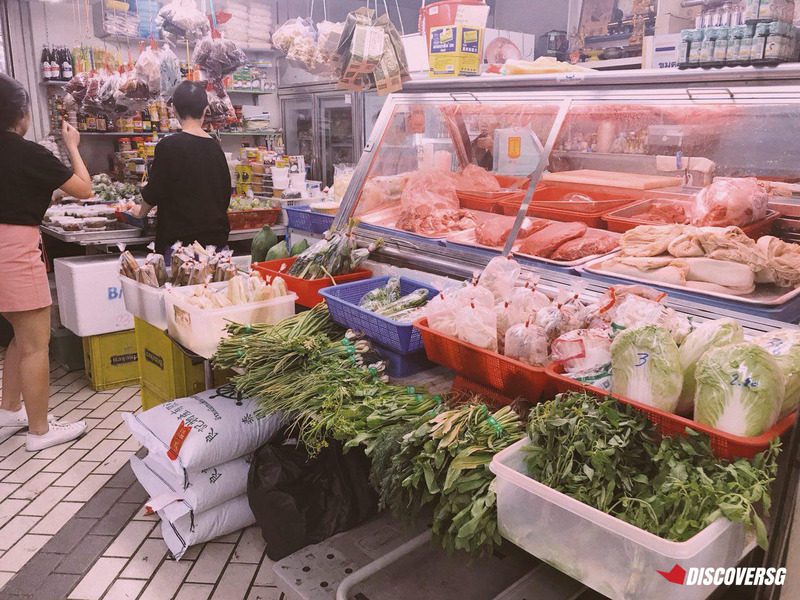 After a cinematic 360-degree camera-under-your-chin “Let me look around in wonder like I’m in an MV” moment, we headed to the Thai Supermarket. Because why not start there? A supermarket in an ethnic enclave gives pretty good insight as to what the culture and community is about. So off we went. 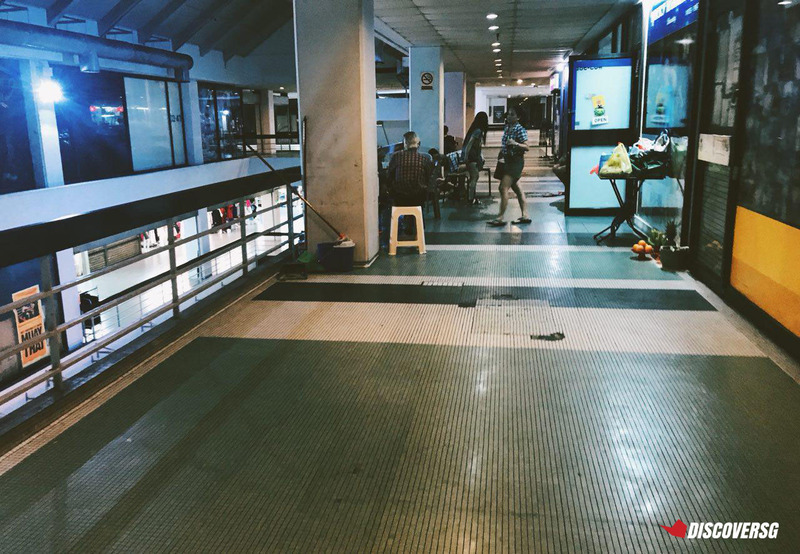 The first thing we noticed by the entrance of the supermarket was a lady selling fritters. We had a recommendation from a colleague about “to-die-for” Banana Fritters. This was it. I almost missed the banana fritters. Thank goodness I didn’t because these are AMAZING. 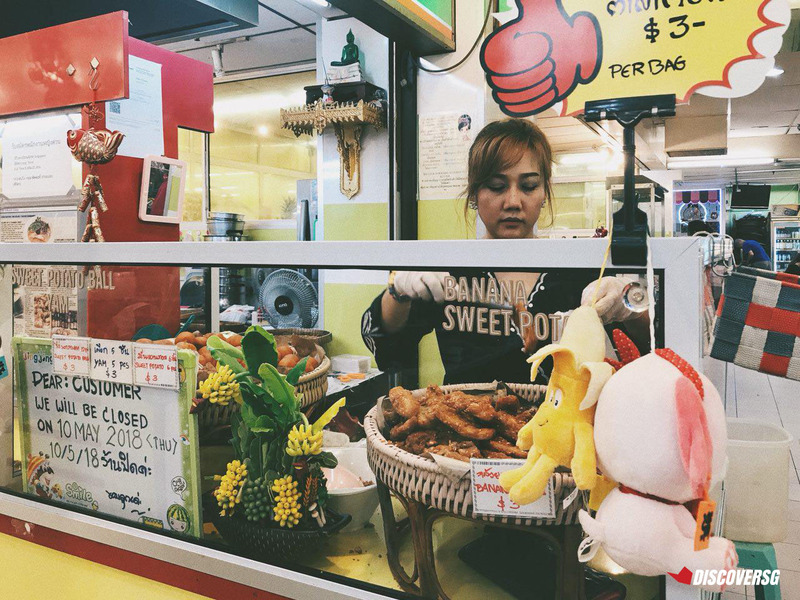 $3 for 6 pieces of perfectly battered, deep fried bananas. I wasn’t expecting much because come on, it’s banana. But OH MY GOD. The bananas are sliced length-wise and thickly battered so it develops a crispy and crunchy batter while frying. And they’re sweet, which is good because the batter itself doesn’t have any flavour. 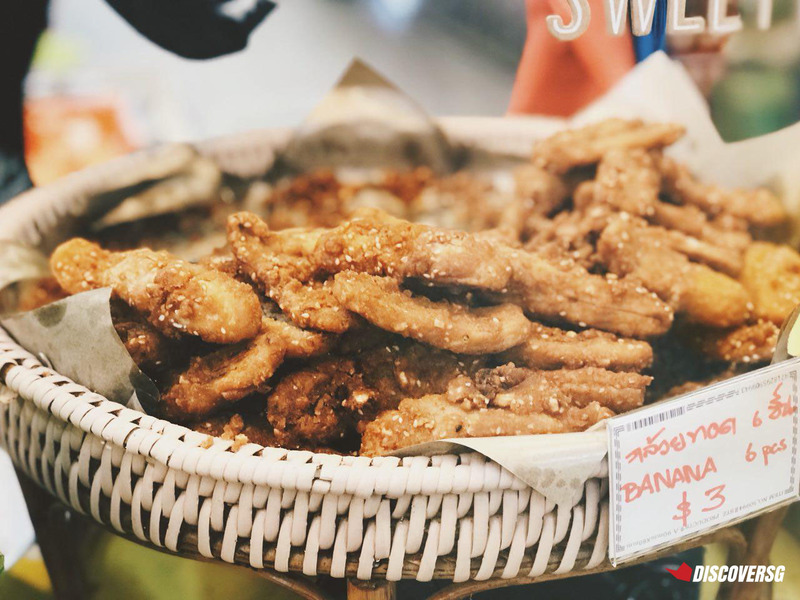 I’m still thinking about these banana fritters. 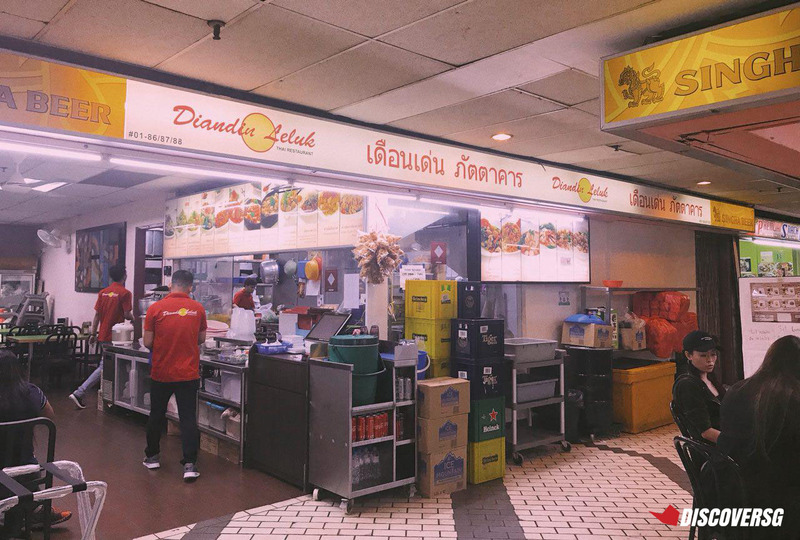 The next time you’re at Golden Mile Complex, you HAVE TO get this. 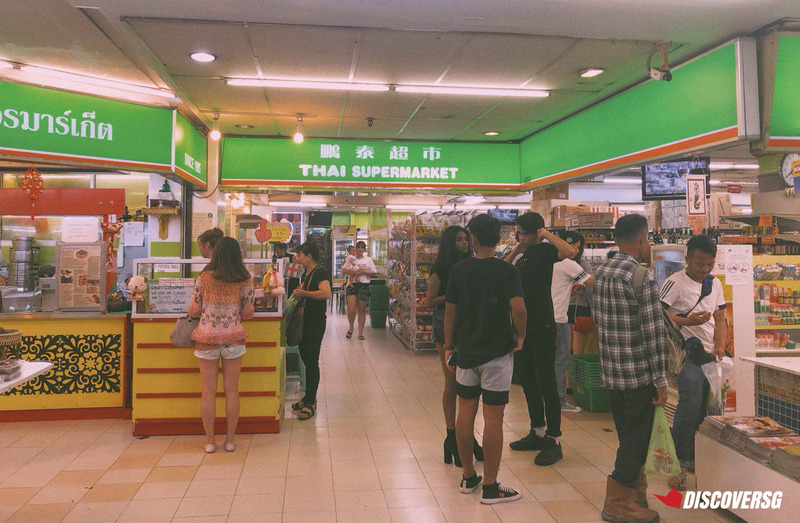 Okay moving on into the Thai Supermarket. 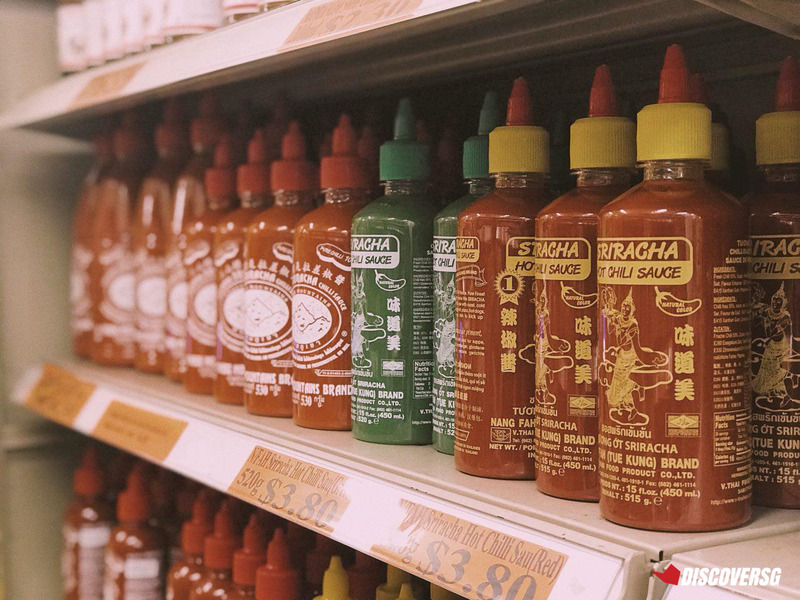 Did you know they have Sriracha here? There’re so many things to buy here. 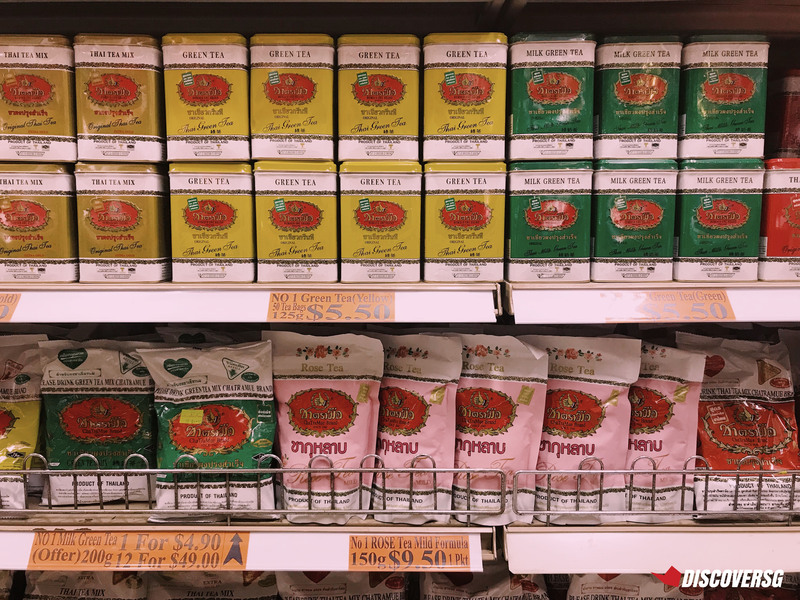 From Knorr stock cubes with obscure flavours to multiple brands of instant Tom Yum soup powders and industrial-size toilet rolls, the Thai Supermarket basically brought the best of Thailand’s packaged goods to Singapore. Also, please stop asking friends to buy the Cha Tra Mue Instant Thai Milk Tea back from Bangkok. Just come to Golden Mile Complex. So, having refuelled on more banana fritters, we explored further. There were plenty of brandless clothing stores. Like Bugis Street but slightly more fashion. There’s also a lot of mookata action going on around us so it wasn’t that dodgy. Yet. We took the escalator up to the 3rd level of the mall and that’s where things got a little shadier. 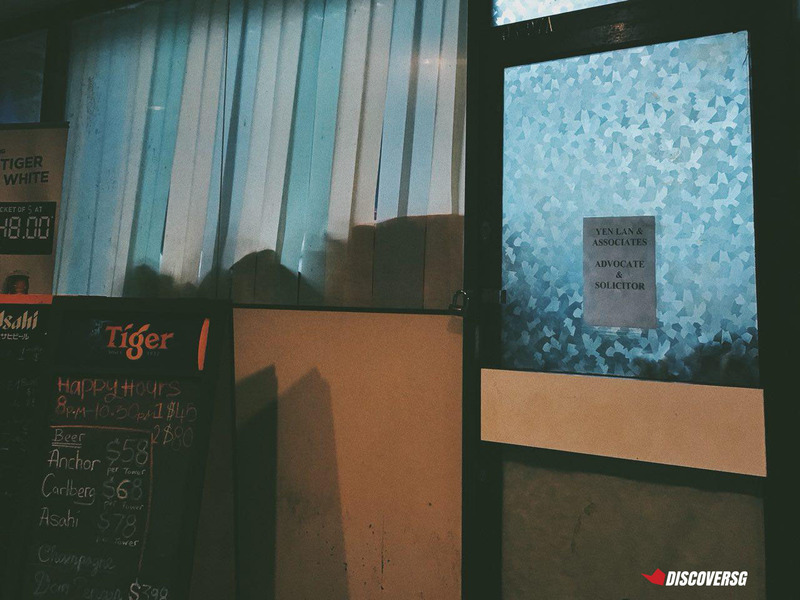 This is where the Thai discos, KTV lounges and massage parlours were located. It’s hard to feel secure because just simply walking past these establishments warrants multiple soul-boring stares from the people working there. There wasn’t much action going on besides an uncle or 2 hanging around the massage parlours. Then again, it was a Tuesday night. 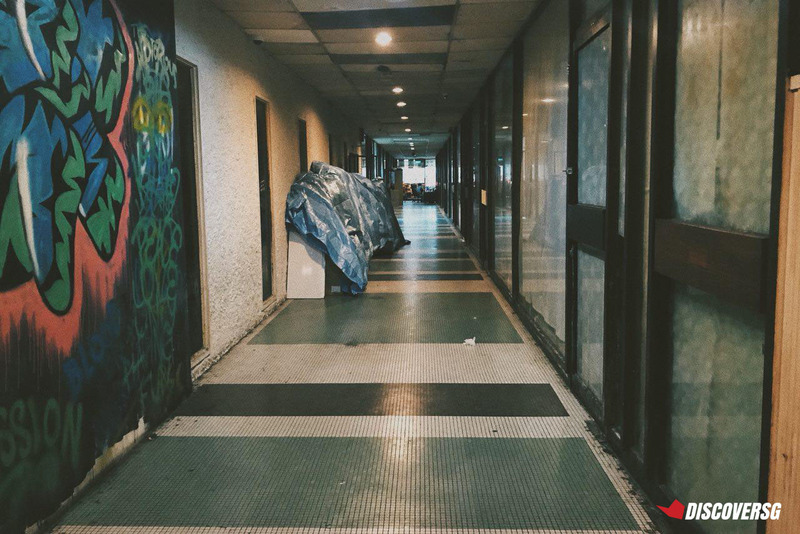 The back corridors were quiet and dingy. We found a room and the door had a piece of paper stuck on it. Was it supposed to be an office? We could hear movement inside and people were starting to stare at us because we were loitering for a little too long, so we left. Only to come face to face with a long corridor. There was something about this corridor, because my mind was screaming and telling me not to go any further. It wasn’t just me – my colleague was feeling it too. Long story short, we bailed and headed back down to the first level. Now, when in Thailand, eat Mango Sticky Rice. So we did, at Diandin Leluk. The Mango Sticky Rice ($6) was pretty good. 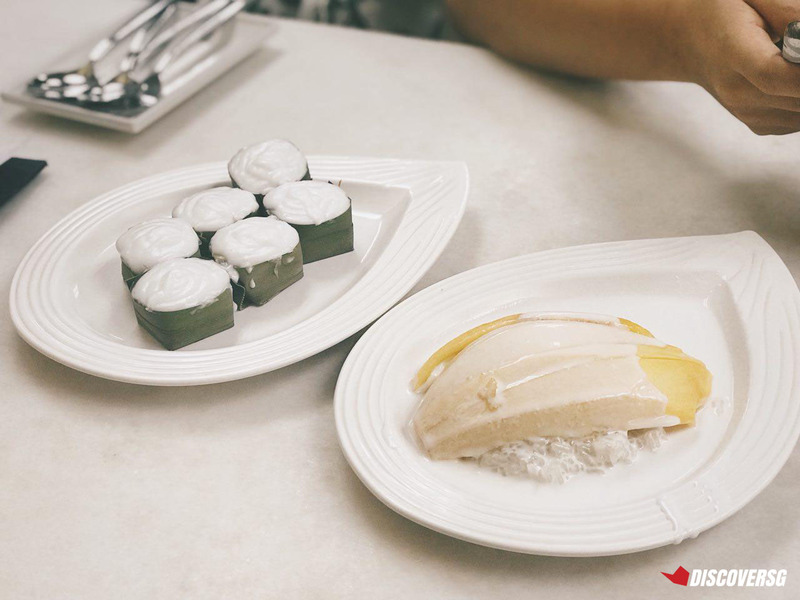 The mango was sweet, the sticky rice had good texture, and they were generous with the coconut milk. My only gripe was that there wasn’t enough sticky rice. I’ve never had Tako ($3) before. But my colleague loves it so I gave it a try. It’s a coconut pudding with sweet corn kernels and sweet potato chunks. There were a lot of things going on in a single bite; lots of different textures and flavours, but I didn’t hate it. Solid 5/7, will order again. 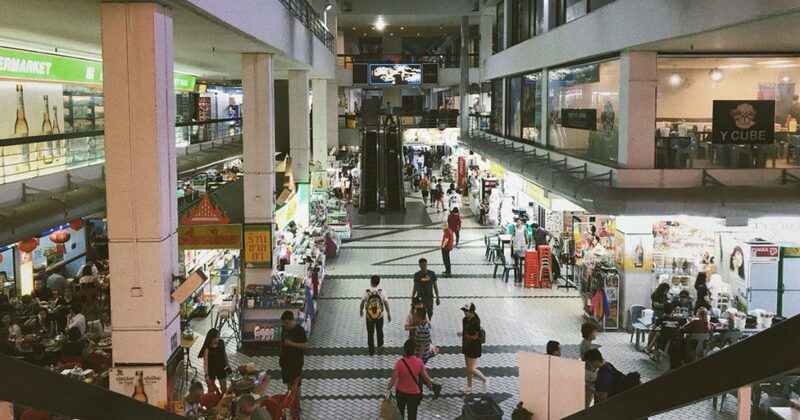 Overall, my virgin trip to Golden Mile Complex was a rollercoaster of emotions. Disgust, wonder, amazement, fear and satisfaction. What exhilaration. Honestly, I’ll probably come back, if not for the banana fritters (HNNNNGHHH), to restock on my Thai Milk Tea supply at home. If you’re visiting, do yourself a favour and stay clear of the upper levels because they’re hella dodgy.